So, Swathi and Michael came by the Gallery to shoot some engagement photos before their big day, and trust me when I say big day. 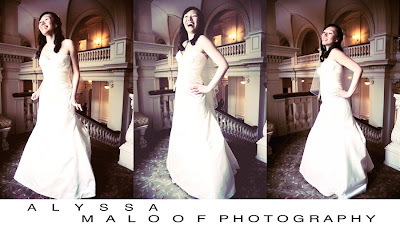 Their ceremony started at 7:30am and involved over 3 outfit changes! You will see more from that day later. Anyway let me tell you, Sweet little Swathi blew me away with her modeling skills. She is a freakin NATURAL! She can throw looks, that as a photographer, you are looking to catch. Swathi, if you are listening I think you should drop the whole Medical career thing and go in to modeling. The photos turned out beautifully and had a great range from fun, to serious, romantic and mystical. What a beautiful event CC and David had at Cairnwood in Bryn Athyn. It was a very classy event and everyone had a great time. You can tell David and CC are the best of friends. They have done some seriously extensive traveling together and when I asked them where they were going on their honeymoon they simultaneously replied Rwanda! That is the first and probably last time I will ever here that response. I wish they would take me with them everywhere to document their lives...It gives new meaning to the term "lifestyle" photographer. 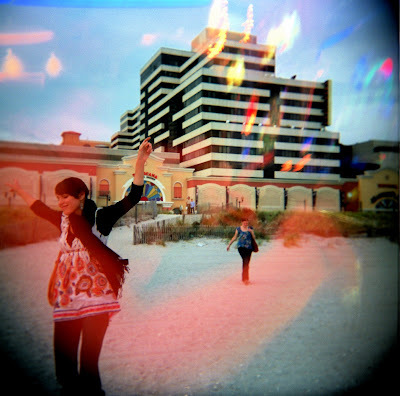 These were taken this winter during a trip to Atlantic City with my Holga and I've just now gotten around to picking them up from the lab. Sarah Gamble has a show up now at Little Berlin Gallery. You should check it out. I love the sparkles that were a complete accident. PS. The last one kills me because it looks like they are in some crazy fantasy world where he is pulling her out of a hole in the ground. Jennifer and David tied the knot at Lighthouse Sound in MD. It is one of my favorite places to shoot and these two were a lot of fun! When Jennifer was cleaning Davids teeth with a toothpick for pictures- I knew that they would be together forever. This was also the first time I have seen the Soulja Boy preformed on the marital dance floor! Awesome.